At Dungarvin Ohio, we believe that helping people with developmental and intellectual disabilities achieve full potential improves the quality of life of the entire community and we are proud to be a part of that process. The range of particular services and supports is vast, in order to meet the unique needs of individuals. The caregivers and managers at Dungarvin Ohio work cooperatively with each individual, his or her family, and their support team as well as county/state entities to ensure quality services. We believe that helping people with developmental and intellectual disabilities achieve full potential improves the quality of life of the entire community and we are proud to be a part of that process. We understand that each person is unique and no support model meets the needs of everyone. Please contact us for more details and/or to discuss any additional needs. 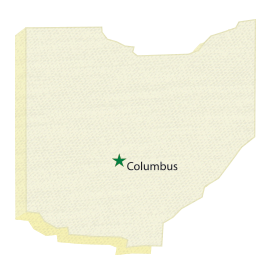 Dungarvin Ohio has been providing foster care services in Central Ohio since 1998. We operate a small foster care network to ensure that we are able to offer quality support and services to both the foster parents and the foster children in our network. We currently have 19 foster homes who are providing placement to 35 youth. While we have traditionally specialized in providing safe, loving foster homes for children with special needs and children who are harder to place, we are prepared to, and excited about, introducing more traditional children into our network as well. Job coaching includes 1:1 services provided by our expert Job Coaches. Helping ready individuals locate, apply for, interview and land jobs in the community. Job follow along services are also available. Safe and reliable transportation provided each day from door-to-door. Dungarvin provides a variety of services depending on the needs of the child and family. These supports are offered to children with intensive needs who are often dually diagnosed (Developmental Disability and Mental health). Dungarvin staff provides a variety of in-home supports to these children and families, including behavior support, social skills modeling and training, and other activities aimed at community inclusion and integration. Additionally, out-of-home respite is a service that is provided on both a planned and an emergency basis. Typically, these services are funded through a contract with the Franklin County Family and Children First Council (FCFC); however, other funding sources are also available. Children who receive services through FCFC are children who are involved with 2 or more of the 5 major systems that serve youth in Franklin County. Those systems are DD, Children’s Services, ADAMH (Alcohol, Drugs and Mental Health), Juvenile Court, and Special Education. 406 East Wilson Bridge Rd.